Propolis is one of the best natural antibiotic, with high amounts of polyphenols, derived from plant’s resins from where the bees collect, mix with own substances and wax, and preserve it in the hive. High variability among propolis samples was noticed, depending on the geographical origin, plant source, harvesting procedures and methods of evaluation1. One of the major problems in labeling the propolis that is commercially available is the real bioactive compounds concentration. The study was aimed to evaluate the in vitro antibacterial activity and the chemical composition of different commercially available propolis based products (tinctures, ethanolic, glycolic and hydroglycolic extracts, products for veterinary and human use). Spectrophotometric and chromatographic determinations were used to characterize the propolis products. The in vitro antibacterial activity was evaluated against reference strains of Staphylococcus aureus, Staphylococcus pseudintermedius, Bacillus cereus, Enterococcus faecalis, Salmonella enteritis, Salmonella typhimurium and Escherichia coli using the disc diffusion assay. The results indicated intense antibacterial properties in case of both tinctures and ethanolic extracts, especially against Bacillus cereus, Staphylococcus aureus and Staphylococcus pseudintermedius. While the inhibition zone diameters were significantly smaller for the Gram negative bacteria, no efficacy was recorded towards Enterococcus faecalis. Total polyphenols varied from 18-26% and flavonoids (6-10%) were determined in all samples. The total amount of polyphenols and flavonoids depended both on the concentration of propolis in the extracts and the solvent type used for extract preparations and its concentration. These data underline the complex chemical composition and antimicrobial potential of certain propolis based products. ISNAD NICULAE, Mihaela , STAN, Laura , URCAN, Adriana , DOMOKOS, Timea , DEZMIREAN, Daniel S. , BOBIS, Otilia . "Comparative Study of Commercial Propolis Based Products – Antibacterial Activity and Bioactive Compounds". 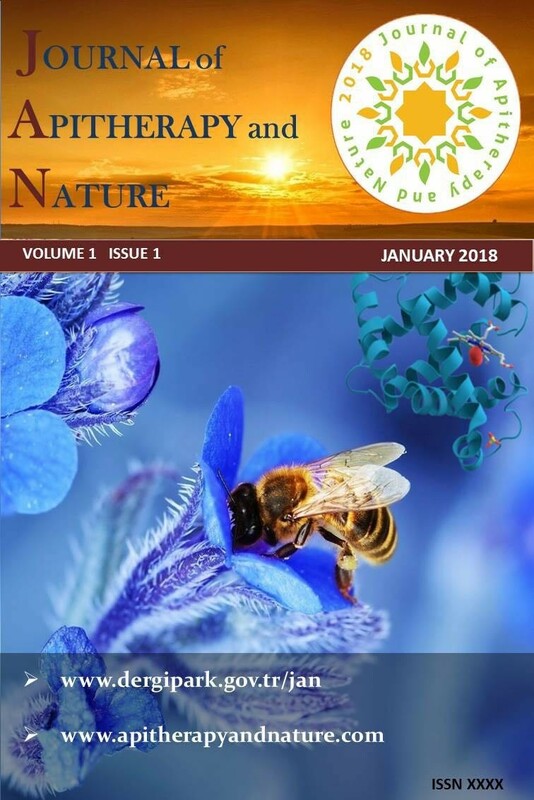 Journal of Apitherapy and Nature 1 / 3 (December 2018): 82-82.